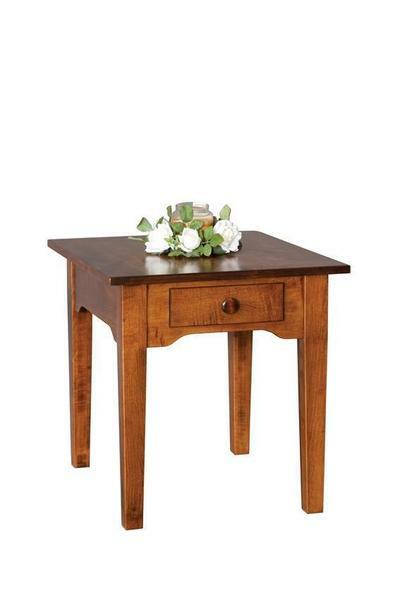 Our Amish Solid Wood End Table features a solid wood design inspired by clean and functional Shaker-style. The rectangular top includes square edges, while a unique apron detail with arches adds character to this end table that also includes four tapered legs and a drawer. Place to on either side of a sofa to create spots for lighting and to be able to easily reach items like remotes, reading glasses, drinks, and more! This solid wood end table can be custom-made in your choice of wood and finish from a variety of options.